Every Holiday or weekend that I am home I wake up in the morning to the smell of my mom’s delicious breakfast casserole. It has the best of every good breakfast meal wrapped up into one easy dish. It only takes a few minutes to make and feeds a small crowd of people. You get crunchy hash browns, spicy sausage bits and eggs with cheese. 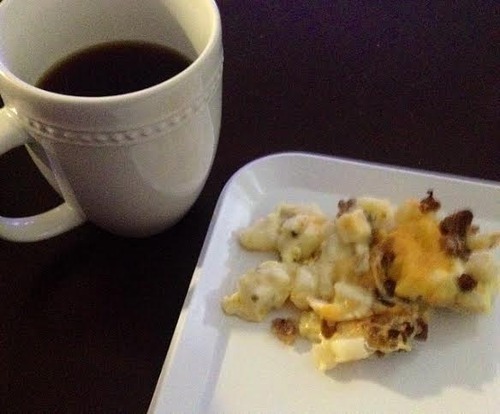 I am ready to enjoy this Saturday with sleeping in, breakfast casserole and a bike ride to the farmer’s market! Here is the version I have started to make since my mom gave me her recipe a couple of years back. In a greased skillet cook your sausage until it is thoroughly cooked and brown. Press frozen hash browns in the bottom of your greased casserole dish, ( my mom uses crescent rolls for the crust which is always an excellent option ) sprinkle on garlic salt and cook at 350 degrees for about 10 minutes or golden brown on the edges of your dish. 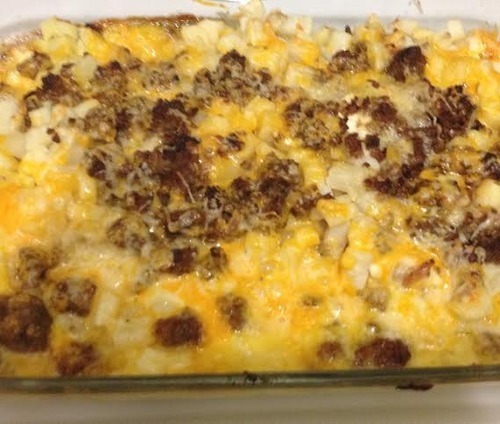 Then take your hash browns out of the oven and layer your sausage bits, then cheese.